Our this month"s Sweet Punch challenge was this simple,addictive and extremely irresistible jam tarts..Thanks a ton to Ria for choosing and sharing this yummy tarts with simple ingredients which goes for quick preparing process, this tarts are completely eggfree i really want to mention this, coz for me tart cannot be prepared without eggs, but Ria proved we can make super delicious tarts even without eggs..I prepared 8 individual tarts with the ingredients given by Ria eventhough she prepared 12 with them, i used my muffin silicon mould for making them, its doesnt helped me very much for making prefect shape,yep i was quite disappointed by the shape but tastewise these tarts turned stunning and super fabulous..Am planning to get some mini tart moulds to make out again this delicious jam tarts.. Fill the tart moulds with this dough,spread them equally by rotating the mould, fill the tart with jam,(fill 2/3 of the dough with the jam) bake at 350F for 15mins..Let them cool completely,remove from the moulds once it gets cool completely.. 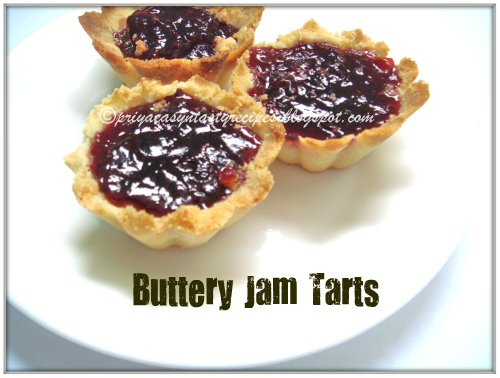 Enjoy this buttery jam tarts with a cup of tea..
That's an exciting recipe and wonderful presentation Priya.The tarts are making me crazy..drool! Growing up I always had jam tarts on hand, but haven't had one in many years, your making me think about making some!!! So good..I'm sure the kids are going to love it!! Bookmarked. Nice looking tart. This was so delicious.. I love jam tarts and this looks super droolie delicious. the tarts look perfect...why are worrying about the shape?! very tasty.. These are addictive are they not? Ces tartelettes doivent être délicieuses. Je t'en pique une . My aunt used to make these often when i visited her - my abosolute favorite. I need to buy some tart moulds. So tempting Priya. cute shapes and yum yum tarts, sure kids delight.. They look awesome & the shape is perfect.. Delicious Blueberry Jam Tarts luk perfectly adorable and gorgeous.Luv the recipe as well as presentation. Beautiful looking tarts... looks perfect..
Hey Priya, could you possibly post a recipe on jam making please ? These little tarts..looks very tempting..priya..!! Wonderful, delicious and tempting tarts. 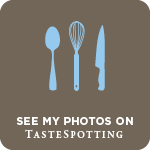 cute ...and yummy lookn tarts! !